Gov. Sam Brownback (R) punted the decision on expanding Medicaid to state lawmakers, and the state Legislature wrapped up its session for the year on June 2, 2013, without taking action on any expansion proposals. Whether your Obamneycare experience is positive or negative, we want to hear your story in the comments section. You may comment anonymously, but we reserve the right to reject your comment if we deem that it is spam, hateful, and/or off topic. If you include links to other websites, your comment, at our discretion, may be rejected, depending on the content of the site. We want this to be a useful and safe site for our users. If your story, negative or positive, is compelling enough, we may elevate it to a regular post status. By commenting here, you agree to these terms. www.healthcare.gov contact page offers some important signup info for health care insurance. Scroll down to the dark blue tab. Each state has its own news feed. Welcome! Tell Your Obamneycare Story Here. 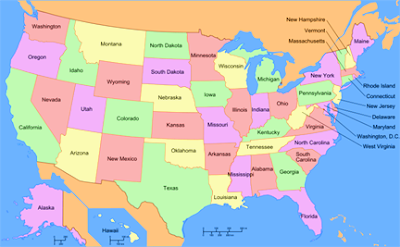 Each state has its own link (see below). If you don't have a personal Obamneycare story and simply want to weigh in with your opinion, please share on the "Pro and Con Threads" (after the state threads). Get up-to-date health Care news for your state! This site is copyright 2013-present, by the webmaster of Obamneycare. Other works posted here are copyright by their respective authors. Works may not be reprinted or reposted without permission from the webmaster or other authors.